Binsol has been a registered nurse for 14 years working at Kaiser Permanente in Southern California, and has worked registry at other local hospitals. Her expertise is in critical care, step down, urology, head neck surgery and primary care medicine in the outpatient clinic setting. 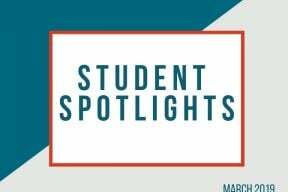 Binsol aspires to move into healthcare management, which sparked her pursuit of a Master of Health Administration graduate degree. During her nursing career, she’s realized that healthcare needs more nurses in leadership roles to help change policies and programs. “I hope to inspire other nurse leaders to step up to the challenge and urgent need for more clinical leaders who have experience and understand the demanding nature of healthcare and daily challenges clinicians face,” Binsol said. 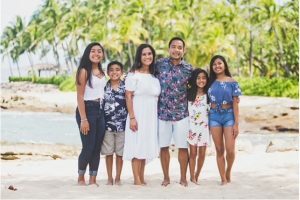 Aside from her professional career and dedication to learning, she is also a devoted dance, soccer and basketball mom to her three daughters and one son ranging in age from 8-14. After having her fourth child, Binsol found herself in a slump trying to keep up with her life. She became depressed about feeling unable to bounce back from her pregnancies and needed a fresh start. 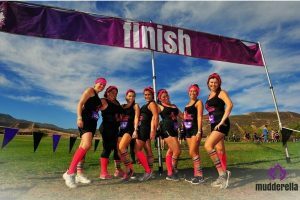 Around this time, one of Binsol’s old childhood friends was the marathon coordinator for the Leukemia and Lymphoma Society and messaged her about signing up for team training. Little did she know; this experience would change her and her husband’s lives. “Training with (cancer) survivors and family of those lost, what excuse did I have?” Binsol said. This was her first half marathon and the start of a new lifestyle. She soon convinced her husband to start running with her and now they train and run races together as quality time. They both come from family histories of heart disease, hypertension, and diabetes, so training keeps their health in check and sets a great example for their kids. 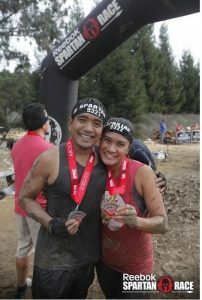 Binsol ran her first half marathon in September 2011 and has run many half marathons, 10Ks, and Spartan Races with her husband since. She was forced to take a break after foot surgery for a painful bunionectomy last December, but she’s been easing her way back into training this year. 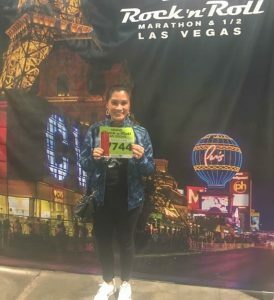 She has one full marathon under her belt and has tentative plans to train for the LA marathon coming in March 2019. She fit in some of that training with fellow students during USAHS’ recent Italy Immersion trip to San Marino. No matter where she goes, Binsol is always running. She admits that it’s not always easy, but it’s worth it for her family. 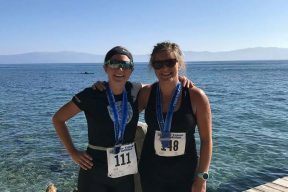 “My husband and I hope that by staying active, we can live longer, healthier lives, and be examples to our children,” she said. If you’re anything like Binsol, you understand the challenges that come with juggling family life and your career. Your time is valuable and at USAHS we understand that. Find out how you can advance your career on your terms with our Accelerated Pathway Program and turn your dream career into a reality!